This is a leadership program designed for youth in the Toronto east end (Cabbagetown, Regent Park, St. James Town, and Moss Park) to develop their leadership skills, learn about environmental and social justice issues as they relate to food, and empower them to take action in their community to address issues they care about in order to create positive change. The program aims to instil a sense of global perspective and community responsibility in participants while developing important life skills that improve their self-esteem and ability to collaborate with others. Want to learn more about Toronto’s food climate? This summer Seed by Seed will be offering full day bike tours for those interested in exploring the complex system that feeds the 3.5 million inhabitants of Toronto. 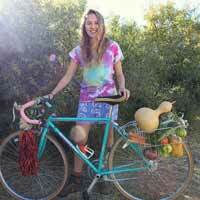 Through a series of activities and site visits these bike tours aim to educate people on the current strategies used to feed a city; highlighting some of the key players that are having an influential impact on the emerging food movement that are fighting for a more just and sustainable food system. More information and pricing to come in the spring of 2015! If this sounds like something you would be interested in, send us an email. 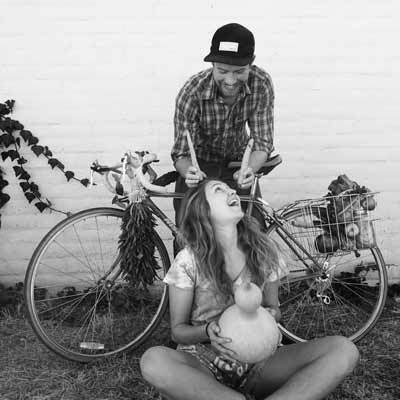 In the summer of 2014, Seed by Seed speakers Mischa and Danielle embarked on a cycling tour across Canada, delivering speeches and workshops to schools and youth groups across the country. Seed by seed visited over 100 local sustainable food initiatives across Canada and learned about the incredible impact they are having on their local and global community. Farmers market, urban farms, educational food centres, composting program, school food programs are just a few of the many initiatives we interacted with. Danielle and Mischa travelled over 8000km on bicycle reducing their greenhouse gas emission by 1844.86kg of CO2; equivalent to the energy it would take to boiling 1.2 million kettles for your favorite mug of tea! They gave 31 presentations and workshops to schools and community groups and spoke to over 6000 youth about food security, leadership and their role as local and global citizens and agents of change. Take a look at our Facebook page and Blog to see more highlights and pictures of the tour! Seed by Seed believes in acting upon our values. We are proponents of sustainability, and choosing bikes over cars, we are aligning with our overall goals of creating a greener future. 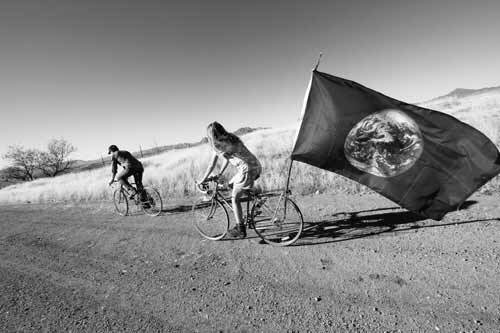 Through cycling across the country, Seed by Seed speakers aim to spark the notion in youth that it is possible to combine their passions with some of the most pressing issues to can create change. We are lucky enough to enjoy all of the sights and sounds of Canada while we do it. Our keynote speech and interactive multimedia presentation focuses on raising awareness about one of the most pressing social justice issues of our time; the current disconnect with our food. Several case studies pertaining to food will be presented as well as personal stories to emphasize the link between food and our health, community and the greater environment. The speech will provide a base understanding of our current food system, highlighting the relative issues and aims to empower youth in understanding that they are global citizens and that their everyday choices and actions have the power to create a sustainable future. Speakers will highlight current sustainable food initiatives as well as present options leading to society’s reconnection with food. The keynote speech is one hour in length, and is ideal for large groups of primary and secondary students. The speech will be followed by a 3 hour workshop designed to empower youth to take action in their schools and communities. While raising awareness about Global agriculture and food security issues; helping to increase the understanding of the crucial role that food plays in nearly every facet of our lives.